Very impressive carpentry on the bench-work. You found some really high-quality wood to build with, judging from what I can see. Nicely done! 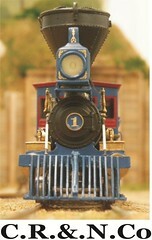 How well do those Arbour locos run? I looked at one of their 4-4-0 kits for years in the '80s at a local hobby shop, and unfortunately never did buy it. So fine H�kan! Thanks a lot for sharing these. Your Engine Fleet is very impressive. I'm amazed you got the Arbour kits together. That something I wasn't able to do.How do they run for you? did you modify them any? The L-girder benchwork looks great too. Nice and strong as it needs to be. I look forward to seeing this layout again once you have more done on it. Very nice work! Great benchwork, scenery and beautiful locomotives and rolling stock. I'm subscribing to this thread and will follow it with great interest. Great job. Every bit of it is first rate. Thank you all for the very kind words. When progress has been made I'll post some new photos. I'm a bit of a loner in modeling circles as I live a long way from other modelers so it is great that one can share ideas and modeling through this site. Hello Dave, the 4-4-0 runs very well although it is a bit noisy due to its open gear. It has the open gear with shaft and bearings and a can motor (Sagami I think) that came with the kit. The motor is in the tender. The 2-6-0 also runs well but on this I had to have a new frame made as the one that came with the kit was badly warped. I had the frame done by another modeler here in Sweden who milled me one from brass. It had the same gear configuration as the 4-4-0 but I used a NWSL gearbox instead and kept the motor in the tender. H�kan, if you think you're boring us with your pictures, please bore us some more. Your benchwork looks very well made and your scenery and structures are equally well done. I hope to see more pictures as you make more progress. Hakan, I'd love to see a photo of the milled frame and motor in your 2-6-0, if that's easy to do. Here are some pictures of the frame. The motor is in the tender and is only attached to the tender floor with a elastic compound. Thanks!! That helps me understand how the gear tower fits into the loco. What a wonderful discovery, H�kan! This layout is really beautiful and your rolling stock is nice. As I was browsing picture after picture, I was getting more and more excited. Sweden really has a lot of great America modellers. I especially admire your benchwork- it is well done! 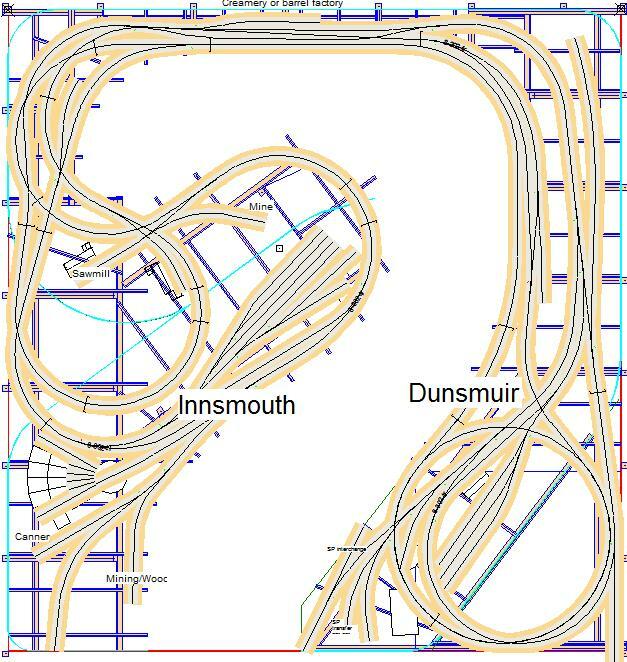 I love your track plan. Please continue to post more pictures. Very nice start on your layout. Thanks for sharing.